Literature’s most enduring characters are informed by their wounds. This is especially true in romance. In a hero’s character arc, she is missing something so essential that, if she doesn’t find it by story’s end, she’ll fail to achieve her story goal. In the hero’s backstory, her wound caused her to develop beliefs about the world around her. Those beliefs form her personal mythology. She sees the world through the veil of those beliefs. She reacts to the world influenced by those beliefs. But what if those beliefs are false? What if she can’t succeed in her story goal if she continues to act under the influence of those false beliefs? And what if she can’t change those beliefs until she heals from the original wound? That is the hero’s character arc. To illustrate, suppose five-year-old Gracie is told by her mother to share her cookie with her baby brother Joey. Being a typical five-year-old, Gracie breaks the cookie in two and gives the smaller piece to her brother. Gracie is frightened by the sharpness of her mother’s voice. She now believes that she is bad because she is selfish. She doesn’t want to be bad. So she tries not to be selfish ever again. For some people that event would barely make a ripple in the development of their character. But for others, like Gracie, the event would change them from a normal child with normal wants and needs, into a child afraid of being selfish. If you were the author of Gracie’s story, how would you use that initial wounding as a catalyst for her character development? You could make her a pleaser, a martyr, or a wallflower. From that one life event we have the beginnings of a character trait. By the time Gracie is an adult, she believes that character trait is intrinsic. She doesn’t realize that trait was born from a wound. You, being Gracie’s creator, do. You know she can heal and you know she can change. As the author of Gracie’s story, how do you make that happen? You throw boulders in her path until she recognizes that make abandoning that character trait is essential if she is to complete her story journey successfully. A strong character arc forces the hero to change and grow in a believable way. It engages the reader’s empathy. By giving our hero a wound we give her a jump start in reader empathy. We can develop a rich personal mythology and set of behaviors as a starting off point. We can then know how she must change if she is to succeed in accomplishing her goal, whatever that goal may be. The wound gives the hero three dimensions. The wound even gives our alpha male heroes three dimensions. Without the wound, without the need to heal the wound, our alpha heroes would be bland and our novels would be forgettable, or even worse, put-downable. The wound gives the character a reason to fear. A reason to hate. A reason to strive. A reason to fail. And ultimately, a reason to love. The deeper the wound the more complex the story, the more challenging the road to healing, and the more satisfying the happily ever after. To heal from the wound the hero must experience the fear, and choose deliberately to do it anyway. Our stories are stronger, and more emotionally satisfying, when the hero chooses to heal. That choice to heal is the hero’s only path to the happily ever after. In romance the love interest provides the beacon, the promise, the treasure that awaits the healed hero. The love interest cannot be the hero’s emotional savior because heroes have to save themselves. What is your character’s wound? What is her personal mythology, her set of beliefs? And how have those beliefs influenced her behavior? Terrel Hoffman is an RWA PRO, writing both contemporary Paranormal and post-apocalyptic Victorian Steampunk romances. An International Coaching Federation-trained life coach, Terrel believes in the transformative power of coaching to help clients overcome obstacles and achieve their life dreams. She is a member of several regional RWA chapters and the Pacific Northwest Writers Association. 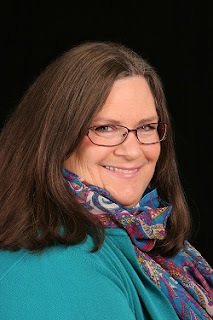 She gives popular live workshops on coaching characters, nonlinear thinking, and plotting. Terrel holds a BS in Physics from San Jose State University. When she is at home, Terrel serves at the whim of two feline autocrats. Best of luck with the class. It sounds like an amazing opportuniy!!! Thanks Cecy! I look forward to teaching it. And thanks for stoppying by. I love tortured heroes and heroines! Good luck with the class! You have written a Great Blog, Terril! I won't be able to make your class, but I HAVE downloaded your blog for future reference! You Go! Ashlyn, you and me both. Best heroes and heroines have deeply buried wounds. How many books did it take before we knew about Eve Dallas's wounds? In an historical novel, The Madness of Lord Ian MacKenzie, he could never completely heal, but he tried to overcome his limitations for the heroine. Gwynn, I wish I had a story for Gracie. Someone else will have to take her. Thank you Janette! I am so excited to be teaching this class. I'm glad you enjoyed the blog. Terrel, this class sounds fantastic, but I'm under water with a new job. Still trying to decide whether I can take it or not, but having sat in your workshops before I know it will be a terrific class. Celeste, Thank you for stopping by! I'm way late checking in on this, but I appreciate the validation because the pov character's wound is one of the first questions I try to resolve. I agree with you. If I don't know the wound, how can I know the motivation? If I don't know the motivation, how can I find the conflict?